Naughts & Cross stitches: I RAN OUT OF BLACK!!!! Oh well after work which I have to go to now ... I have an excuse to go to the shop. That is sooooo annoying for you - I feel your pain! I try to stock up on as many threads as I can but I always seem to run out of the one I need! Most frustrating because I have limited time with this one it needs to be done and hidden by sunday when phill gets back! 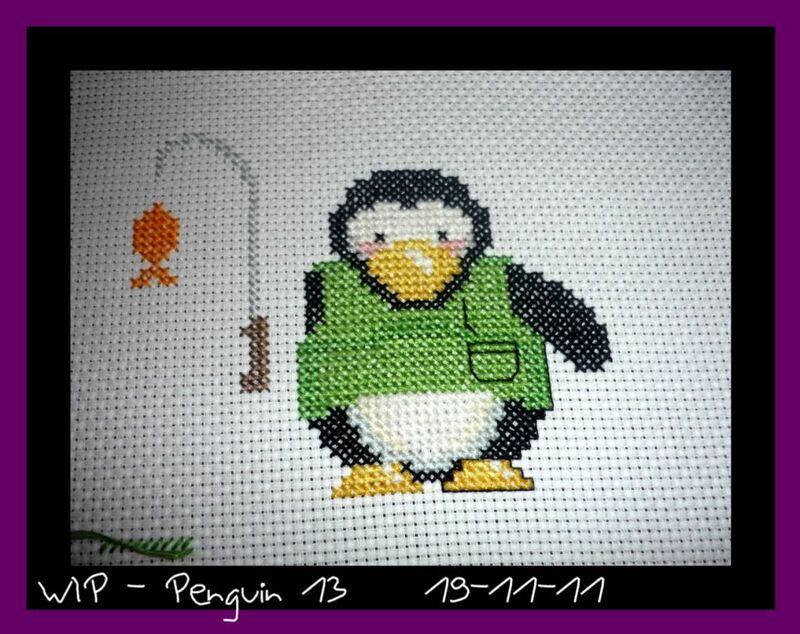 I have been watching your penguin progress. They are all just so cute. I hate running out of a color or not having one right as I start a project. For me, a trip to the store can be a very bad thing and I try my best to stay away. Have a great weekend!